PowerMax is your best choice for collective experience and knowledge that provides a unique advantage in providing professional Upholstery Cleaning Services since 1989. 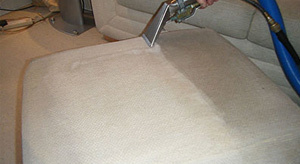 We can clean all types of upholstery fabric. Our professional technicians will evaluate your upholstery and offer options and advice during the cleaning process. We take pride in our work and handle your upholstery with care. We also offer protective finishes to enhance the life-time and beauty of your upholstered furniture. Deep cleaning can effectively extend the life of your upholstery by removing contaminants such as dust mites, household dust, pollen and dander. Each piece of furniture is given special consideration to determine the cleaning treatment that will work best. Factors such as fabric stability, color, age and most others can have an effect on the method used.